Experience traditions on a transcendent level, where the mind sits in a state of tranquility, while the body achieves a deeper and profound level of balance, harmony, and total relaxation. Mahima brings you a refinement of services, products, and education utilizing the core principles of the ancient traditions. A traditional Ayurvedic massage using specially blended herbal oils to soothe the nerves and support the health and well-being of the senses. This subtle blend of oils are used to massage the head, neck, and shoulders. As it permeates the surface, it nourishes the hair and scalp and stimulates the flow of Prana, Qi, or energy, throughout the body alleviating any form of stagnation or blockage. In doing so, it has a profound effect on the mind to induce a state of tranquility while supporting restful sleep. Begin with a foot cleanse, using a calming and refreshing salt and aromatherapy scrub. Gentle pressure is initially applied to certain reflex points to stimulate the nerve for a calming and healing effect. As the pressure slightly increases to these and other points, it stimulates and enhances the organ system whereby restoring balance and harmony to all bodily functions. Deep enough to release the muscle tension and enhance your circulation, which is the root of our deep tissue massage. It stimulates circulation to nourish the local and surrounding tissues creating a muscle relaxing effect, when the muscles are in a relaxed state our total well-being changes to a more tranquil and harmonious state. Hot stone massage is a modern therapy using warmed stones and positioning them on certain parts of the client’s body to create a healing effect. These stones are heated in sanitized water with essential oils, having antiseptic as well as therapeutic properties prior to use. 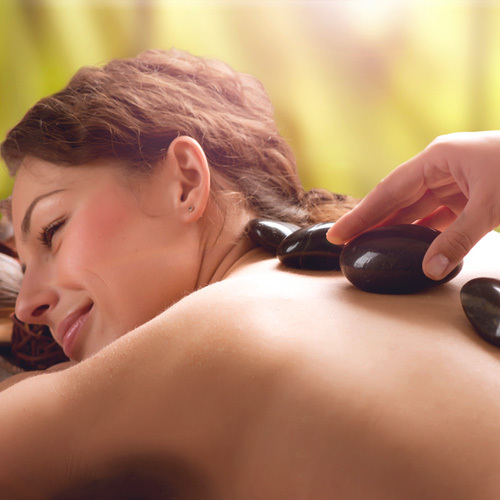 The high iron content in basalt (the most commonly used type of stones) helps the stones retain heat during the massage. This hot stone therapy is beneficial on both a physical and psychological level, providing a deep sense of muscular relaxation, alleviating stiffness and rigidity. On a mental and psychological level, it supports tranquility of the mind, usually instilling restful sleep. 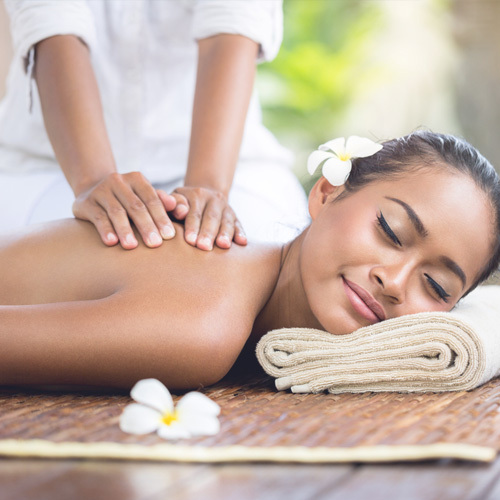 A very popular and relaxing massage which utilizes long, soothing strokes to induce a deeper state of relaxation to provide the body relief from stressful situations and emotional instability. Combined with certain oils to help relax the muscle as well as stimulate the circulation, Swedish massage is not very deep. It ranges from soft to medium in pressure, based on the client’s preference. Lymphatic massage, also called lymphatic drainage, is a specialized therapy used for the treatment of lymphedema. This is a condition which is an accumulation of fluid that can occur after lymph nodes are removed during surgery, usually after a breast cancer procedure. Up to 25 percent of breast cancer patients whose surgery includes removal of lymph nodes in the area of the armpit eventually develop lymphedema. This condition can also occur in the arms, legs or other parts of the body if lymph nodes are removed or are damaged by radiation treatment, infection or trauma. Lymphedema can occur immediately after radiation therapy or surgery, or weeks, months, and even years later. Abhyanga is one of the most profound healing tools used in the ancient system of healing medicine and life science known as Ayurveda. One aspect of this healing system is based on achieving overall health and well-being. Abhyanga is based on the application of selected blended herbal oils based on your dosha, or body type. This oil combination with variances of massage stroke types supports the health and well-being of the body, mind, and spirit. It nourishes and pacifies the doshas of Vata and Pitta while stimulating and supporting the healthy functions of Kapha dosha. Abhyanga relieves fatigue, and promotes stamina while soothing the mind and ensuring perfect sleep. Apart from this, it also enhances the complexion and the luster of the skin, supporting longevity while nourishing the whole body. 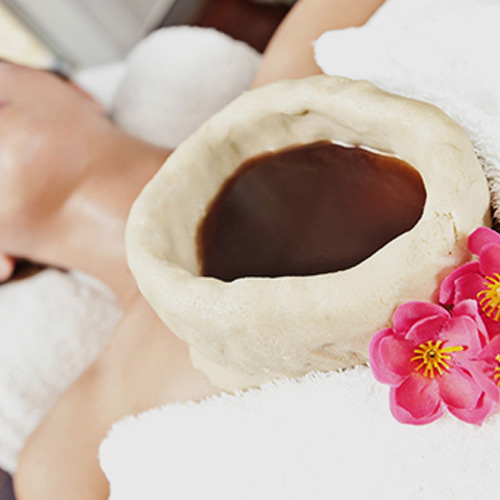 One of the Gems of Ayurveda therapies, Shirodhara is a subtle yet profound therapy. Apart from being one of Ayurveda’s foremost therapies, it simply does not just focus on the physical aspect of our being, but also on our mental-emotional and spiritual levels. With all the chaos in today’s modern society, it is becoming one of the most popular and effective tools. Shirodhara therapy when applied on a regular basis supports the overall aspect of our health on all three levels of our being. It supports the healthy circulation of prana and blood to nourish the brain. This furthermore improves memory, nourishes hair and scalp preventing hair loss as well as dryness to the scalp. On a deeper and more profound level, it energetically stimulates the pineal gland to secrete hormones that calm the nervous system and induce a deeper sense of relaxation and sleep. 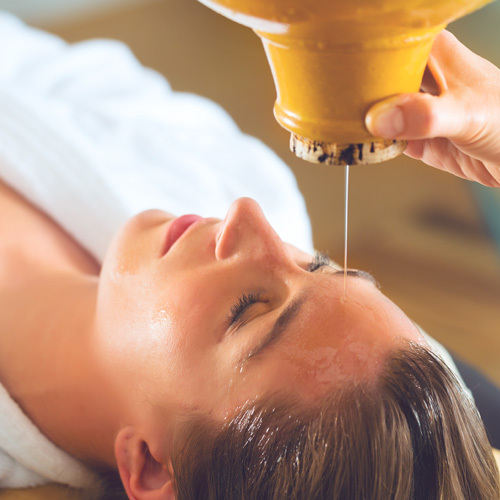 Shirodhara has been a remarkable therapy in the treatment of neurological disorders, but is now becoming one of the most effective treatments for reducing stress and nervous tension in this modern day lifestyle. Udvartana is another specialized Ayurveda therapy which involves the application of dry powdered herbs onto which is anointed with oil. The herbs are applied with a gentle pressure and as it is combined with the oil to allow it the opportunity to permeate into the tissues. Udvartana is practiced in opposite direction of abhyanga usually against the direction of body hairs. The herbal powders are based on the body type of the individual or the imbalance being treated. It is beneficial in reducing kapha dosha or decreasing fatty tissues, stimulating circulation, while enhancing the complexion by nourishing the tissues and skin. Shiatsu is Japanese for “finger pressure,” and consists of the application of finger and palm pressure, bodily stretches, and other massage techniques. This ancient therapy stimulates the pressure points, releasing the tension and tightness, whereby allowing the client to relax and breathe more deeply and gently. This profound healing science from Thailand originates from a combination of Yoga stretches with the principles of Ayurveda and Oriental Medicine. It enhances the body’s flexibility while detoxifying the tissues and supporting the elasticity of the joints. Thai massage also has a tranquilizing effect on the mind by alleviating mental stressors and revitalizing the circulation of Qi and Prana. Apart from alleviating stress and neurological disorders, this treatment also helps with disorders such as glaucoma, conjunctivitis, excessive twitching, and red or burning eyes. This therapy is very beneficial to disorders relating to the cervical area such as numbness, pain, inflammation, herniation, as well as stiffness and numbness of the hands. This treatment is very profound in an emotional release state, as well as its nourishing and fortifying attributes for both the cardiovascular and respiratory system. Connected by 72,000 subtle energetic pathways, this intense stomach therapy helps to release physical and emotional baggage, as well as treating most digestive disorders like Crohn’s disease and irritable bowel syndrome. This Basti therapy, applied to the lower back, is indicated to treat lumbar sacral pains, disc herniations, sciatica, osteoporosis, and stiffness. Ananda is one of our signature packages that includes Shirodhara, Abhyanga, Champi (head massage), and Reflexology. This package allows the patient to go into a deeper state of relaxation where the mind embraces an aura of mental and spiritual harmony. Shirodhara therapy when applied on a regular basis supports the overall aspect of our health on all three levels of our being. It supports the healthy circulation of prana and blood to nourish the brain. Abhyanga relieves fatigue, and promotes stamina while soothing the mind and ensuring perfect sleep. Apart from this, it also enhances the complexion and the luster of the skin, supporting longevity while nourishing the whole body. Champi head massage uses specially blended herbal oils to soothe the nerves and support the health and well-being of the senses. This subtle blend of oils are used to massage the head, neck, and shoulders. Reflexology uses a calming and refreshing salt and aromatherapy scrub. Gentle pressure is initially applied to certain reflex points to stimulate the nerve for a calming and healing effect. Nirvana is another one of our signature packages. 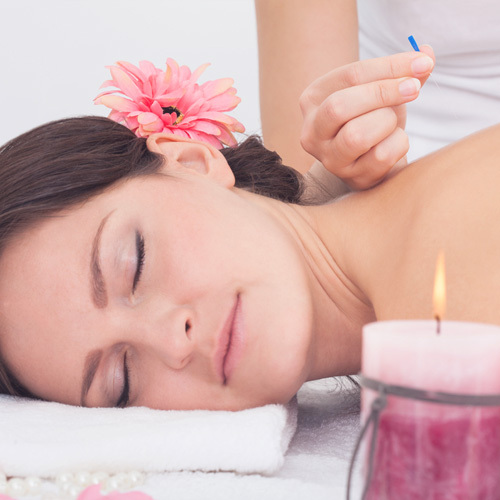 This package includes Shirodhara, Abhyanga, Nahbi abdominal massage and Reflexology. It is a synergy of therapies to bring about a blissful state of being. Abhyanga relieves fatigue and promotes stamina while soothing the mind and ensuring perfect sleep. Apart from this, it also enhances the complexion and the luster of the skin, supporting longevity while nourishing the whole body. Nabhi is a profound massage that assists in strengthening the abdominal organs and encourages weight loss, alleviating issues such as most digestive disorders, constipation, and poor appetite. Samadhi (Fire) is another one of our signature packages that includes Shirodhara, Abhyanga, and Reflexology. This transformative package assists us in detaching from the day to day stressors and evolving the body and mind to a more tranquil state. Moksha is our purification package. It includes Shirodhara, Swedana (sweat therapy) and Abhyanga massage. This therapy allows us to detoxify the physical water element as well as support our emotional release. 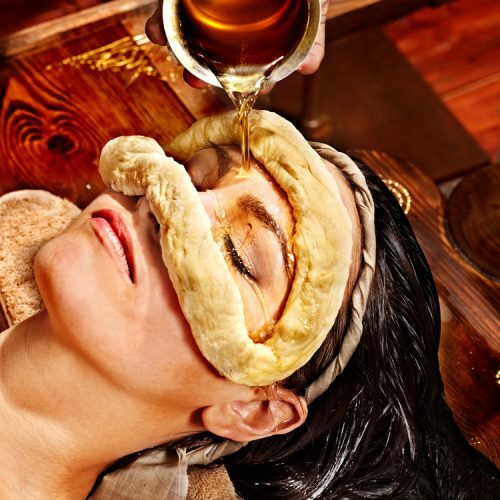 Swedana sweat therapy helps to clear the mind and detoxifies the tissues. This causes the muscles to be more relaxed, combined with an herbal or aromatic infusion to enhance its effects. Prana is our foundation package, encouraging optimal physical health and wellbeing. 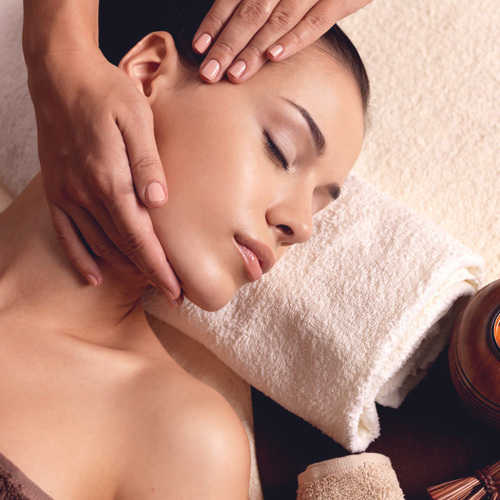 It includes our Swedana treatment and Abhyanga massage, bringing a detoxifying and rejuvenating effect. THE SPA ARRIVAL TIME: Arriving late may make it necessary to limit the time for your treatment. In doing so, the next client is not inconvenienced or delayed. To avoid this, please arrive at The Spa reception 15 minutes prior to your scheduled treatment time. This allows for us to accommodate our clients at the appropriate time as not to inconvenience anyone. THE SPA ATTIRE: Spa attire will be provided for you, but choose what is most comfortable for you. During your therapy our therapists will always use draping techniques to respect your privacy. HEALTH CONDITIONS: It is necessary to communicate your current health conditions as well as any conditions you may be prone to, such as: high blood pressure, allergies, pregnancy or any health-related concerns you may have when making your appointment. We strongly recommend the need to avoid the consumption of alcohol or any such narcotics prior to or directly after spa treatments. Acupuncture is not just a science of inserting needles, but one which includes the understanding of the physical body and all its physical functions. Combining this with a greater understanding of the elements of nature and the environmental and planetary influences within and around us allows for a greater experience of this art. As we dwell deeper into the understanding of Acupuncture, we will realize that as we treat the physical body to harmonize the energetic flow we are also doing so on a subtle level, correcting internal physical and mental-emotional balances, whereby opening up the gates for greater consciousness and transformation. Once this level of consciousness is achieved, then the true meaning of life is experienced. Cupping is an ancient form of Ayurveda that allows for blood to flow more easily within the areas of the body that are affected. The easier it is for the blood to travel throughout the body, the faster the healing process of the affected area will be. The process begins by using heat to create a suction effect on a specific muscle group. Once removed, the cup may leave an imprint similar to that of a bruise. As much as they may look like bruises, however, they are not the type that could be created with say that of blunt-force trauma and more-so used for a healing effect. 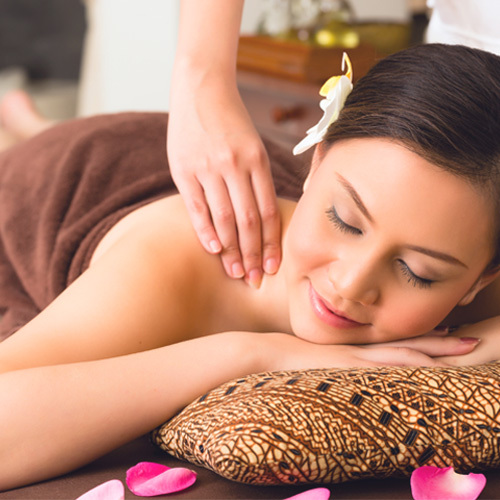 Massage therapies are each used to help the health and well-being of an individual. A massage involves the manual manipulation of muscles, tissue, ligaments, and tendons in order to relieve the tension and/or pain located on a particular region of the body. 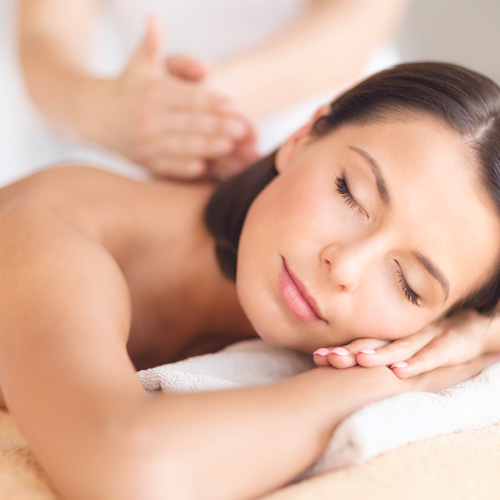 Usually, patients who suffer from mental-emotional stress, those who need to rehabilitate muscles, reduce pain, or just relax the body will seek out the benefits of a massage therapy. Manual therapy is a fairly new treatment that consists of manually adjusting the ligaments and muscles of the neck in order to create pain relief. There are three primary forms of manual therapy, including massage, manipulation, and mobilization. 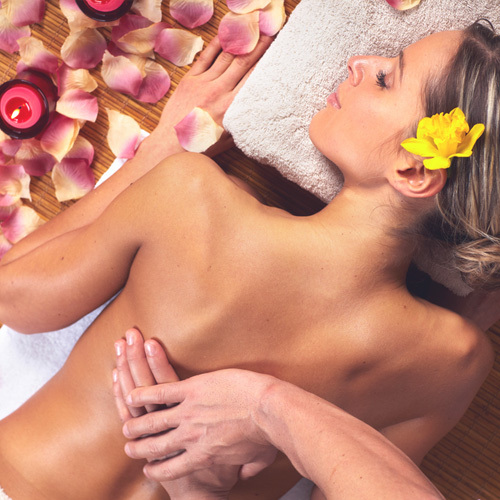 Massage is used to knead the muscles of the body in order to relieve tension in a particular area of pain. Manipulation, also known as an adjustment, usually involves kneading the joints in order to properly relieve pain and tension from the spinal cord. Finally, mobilization involves mobilizing the joints into certain ranges of motion that will alleviate pain. For those individuals with chronic lower back stiffness and / or pain, can enjoy this therapy. It includes Cupping, Massage, Stretching as well as Manual therapy to help alleviate discomforts of the back, lower back and legs. It is also very beneficial for those suffering from circulatory conditions or from those with sports injuries. Understanding oneself is one of our greatest goals and should be one of our greatest accomplishments. For the true answer to our health and well being is through self understanding. This assessment profile is comprised of the wisdom left by the ancient sages to support our evolution in all aspects of life. It gives us a greater understanding of nature, nutrition, psychology, societal influences as well as our personality traits and how we can refine things so they compliment each other. Panchakarma derives from a Sanskrit word that means “five actions”. 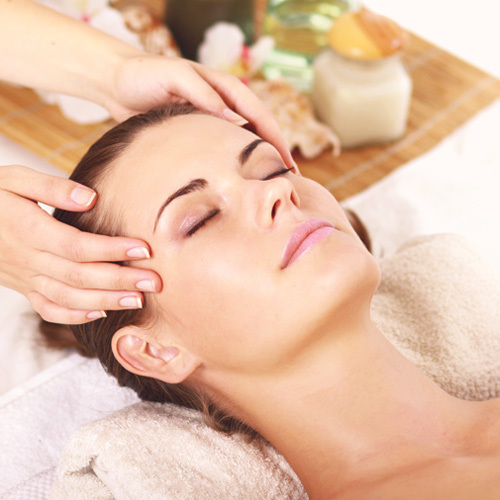 This treatment enables the restoration of the immune system while also restoring balance and well-being. This treatment stimulates healing and detoxification. An improper lifestyle management may lead to illnesses and body imbalances that may not be easily restored by the body’s own immune system. Panchakarma is then introduced to help the body restore its natural balance. Rasayana is a protocol used with patients who are suffering from both mental-emotional and physical stress. This protocol will assign treatments will rejuvenate the body by eliminating the stress and toxins corrupting the body. Rasayana will restore a natural balance to the body and mind, providing a state of calm. Proper nutrition will provide the body with the minerals and vitamins necessary for healthy bodily functions. A proper daily diet includes a mixture of carbohydrates, fats, proteins, minerals, vitamins, and water. 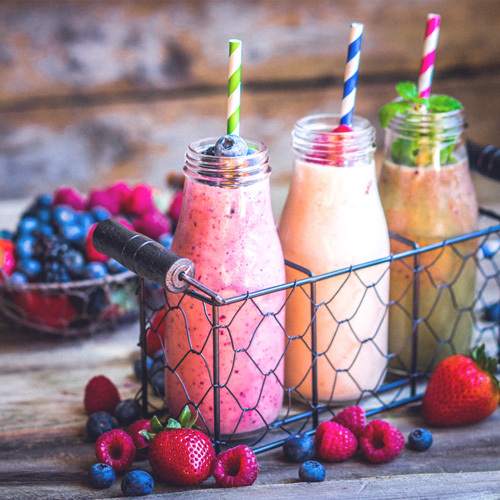 Eating the proper foods that provide the healthy portions of each of the six elements of nutrition will provide the body with energy and a stronger immune system support. An improper diet lies at the core of most diseases. Proper nutrition will help improve or prevent negative body conditions. 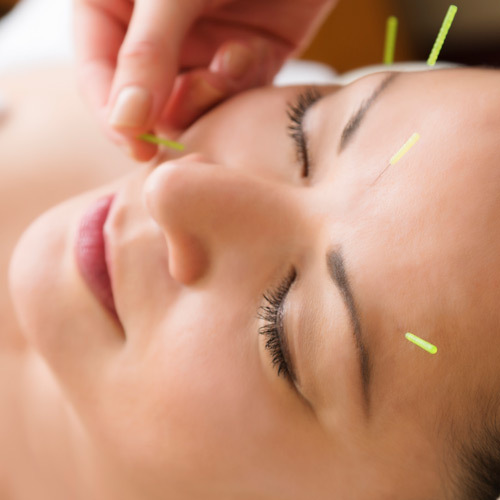 Facial acupuncture is a rejuvenation technique that is deep-rooted within Traditional Chinese Medicine (TCM). The procedure is known to produce groundbreaking results and has transformed into a specialized anti-aging and beauty treatment program. In modern society, many have claimed the results of just a few sessions can be similar to getting a facelift without the expenses of cosmetic surgery. TCM states that the complete organ system intersects in the face. Proper functioning of this system results in healthy, glowy skin. However, when there is an imbalance, the energy will reflect differently; from acne to premature wrinkles, dark circles, or even involuntary twitching. Any balance or imbalance from the body will show in the face, so it is important that we pay close attention to our skin. Weight loss is made easy with our holistic weight loss program. Your journey starts with a detox massage designed for a metabolism boost and detoxification of toxic matters in the body. Here, patients will enjoy cupping therapy with wooden cups. This will also include a body wrap with an infrared sauna blanket, which further stimulates the reduction of excessive bodily fluids, and a lymphatic drainage massage to make weight loss effortless.